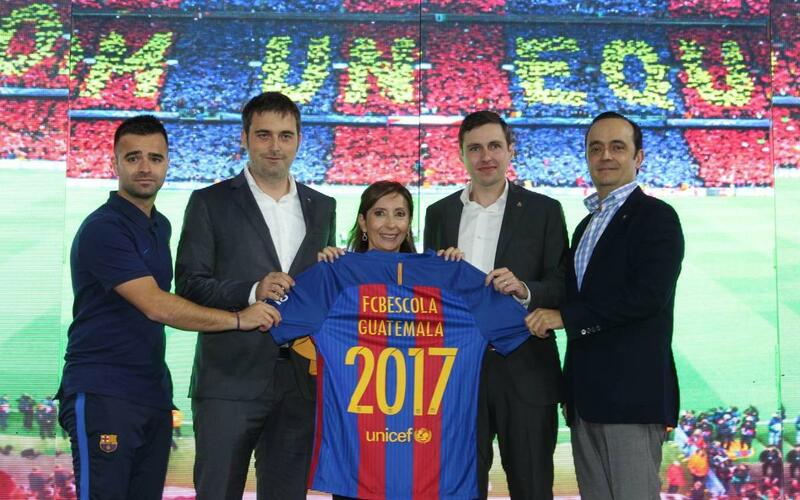 This past weekend, the FCBEscola Guatemala became the first football Academy run by FC Barcelona to be opened in Central America. The official inauguration of the school took place on Saturday, making it the Club’s 26th in the world and its fourth in Latin America, after previous openings in Brazil, Peru, and the Dominican Republic. The grand opening of the school, which is in Guatemala City, was led by FCBEscola Project Director, Franc Carbó, who emphasized the importance of opening this school as part of the Club’s International expansion plans. During the event, those on hand had the special privilege of having their photo taken with some of the most recent trophies won by FC Barcelona’s first team — cups from the 2015/16 La Liga, and the 2014/15 UEFA Champions League.